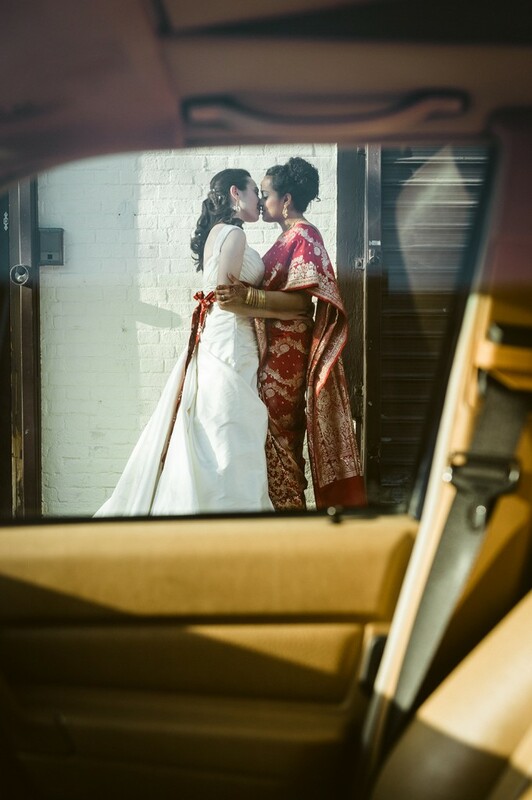 Continuing National Pride Month, dedicated to love and equality, we have a lovely wedding for you! 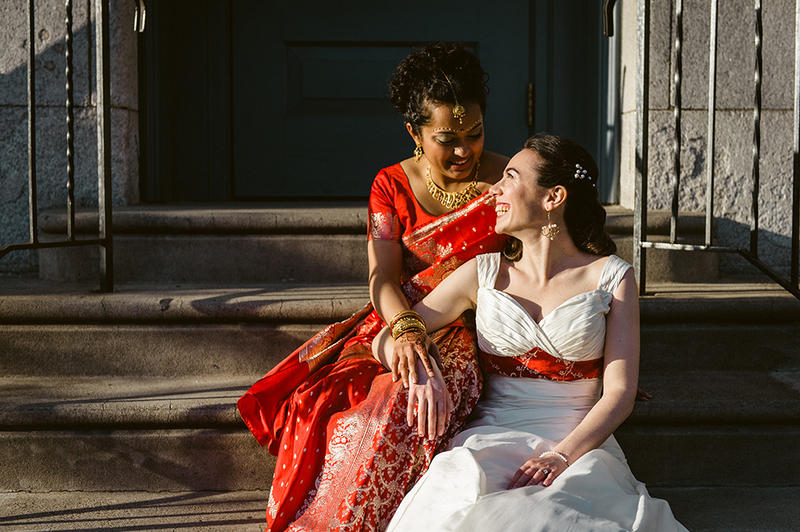 Yana and Archita had a truly mixed cultured, mixed religious, mixed everything wedding that was a ball of goodness! 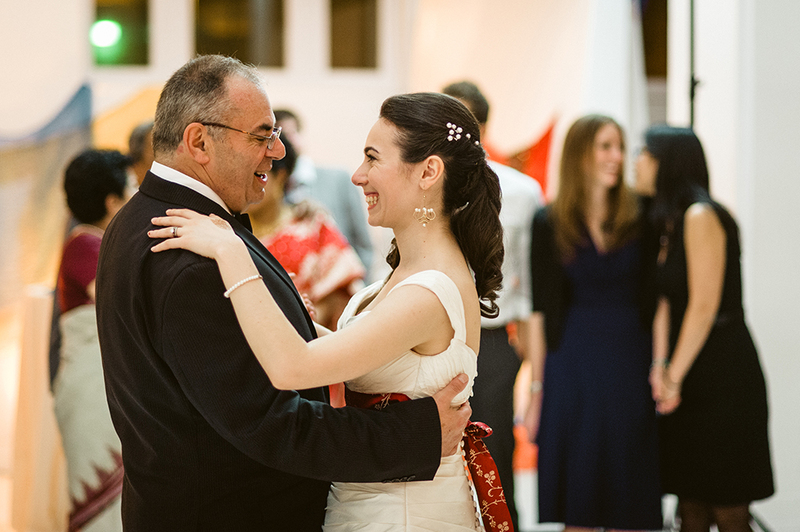 From homemade Russian vodka (by dad of course!) 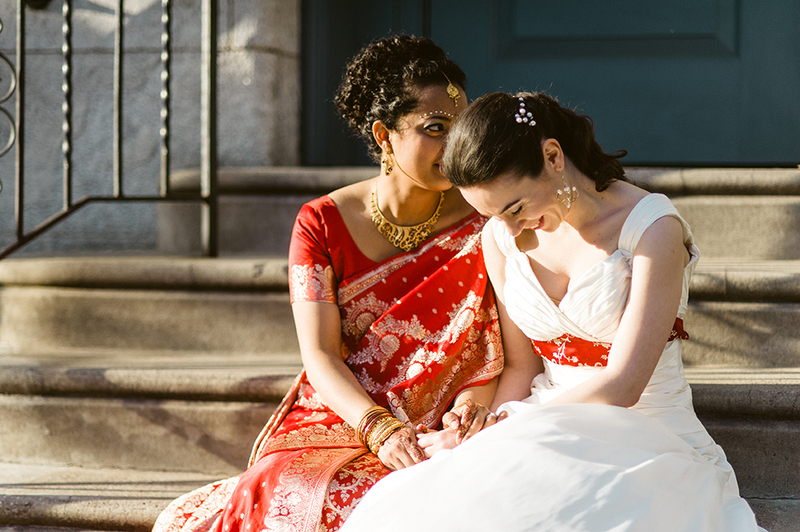 to bindis and bangles, this adorable couple got married and celebrated their Russian Jewish and Indian Hindu heritages all in one. 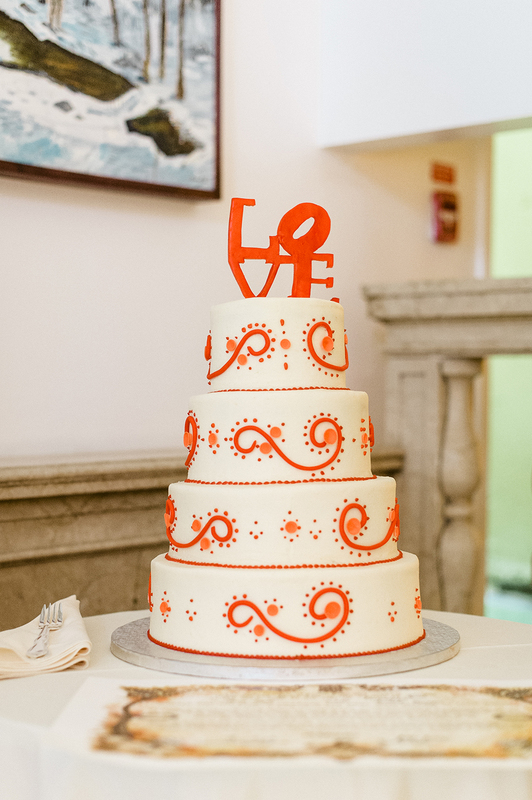 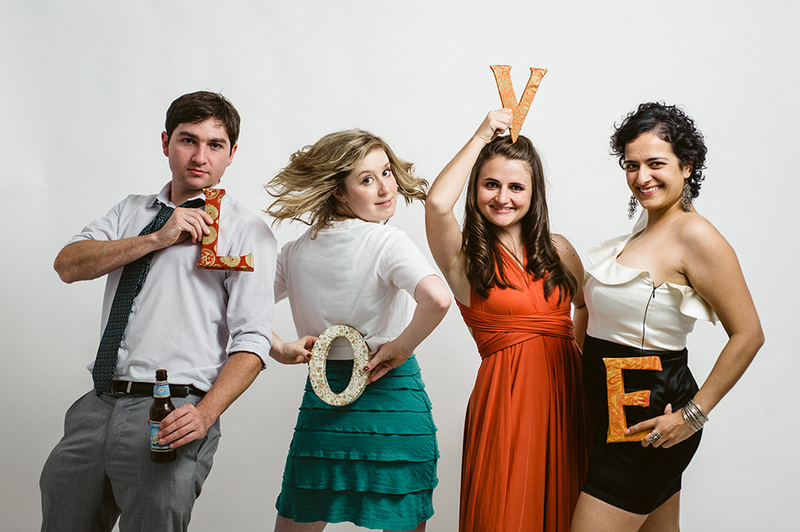 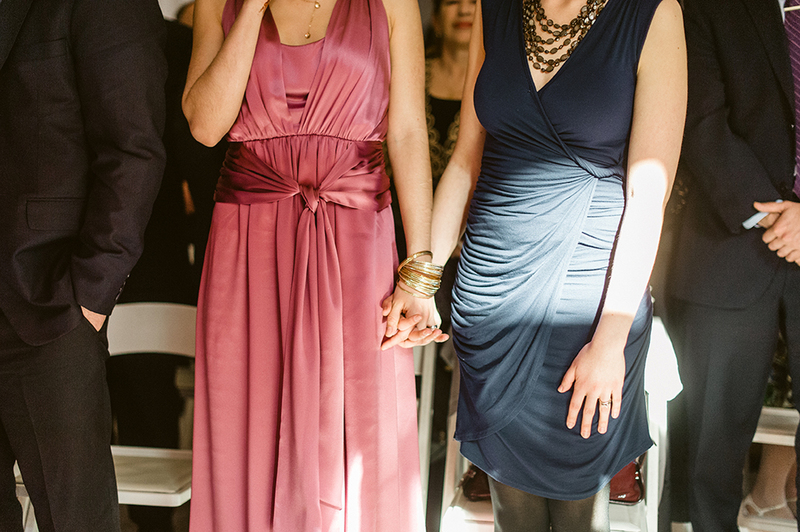 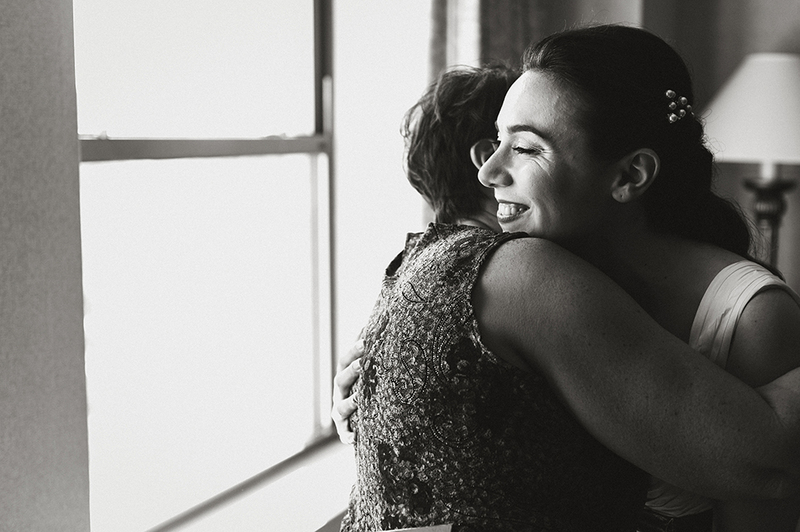 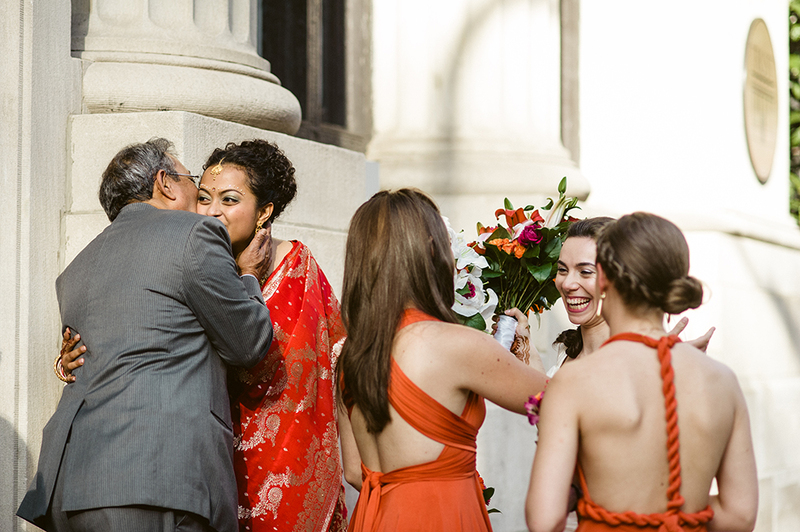 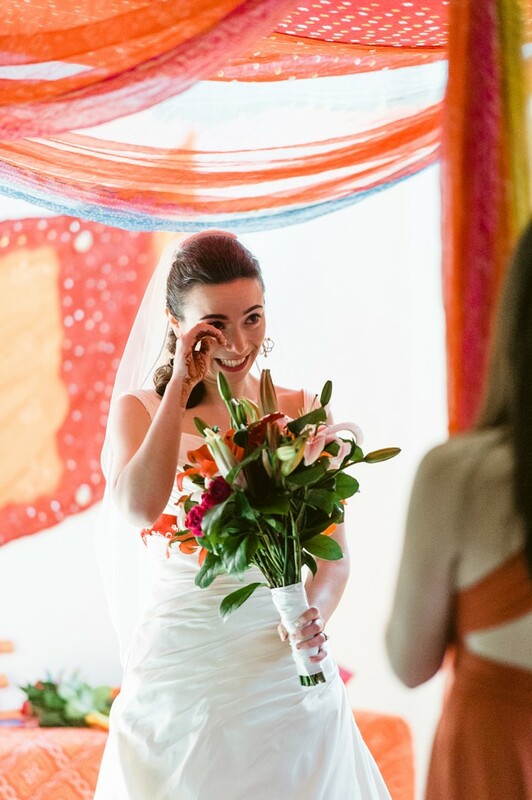 This is a colorful and happy lesbian wedding you cannot miss! 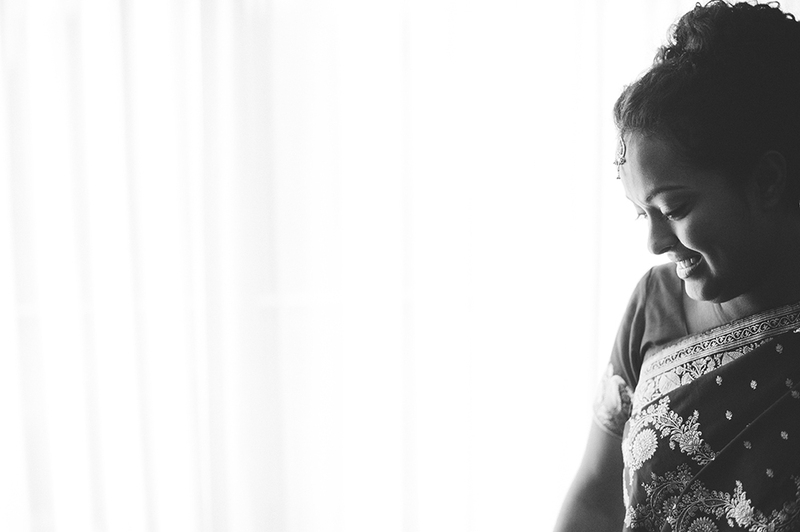 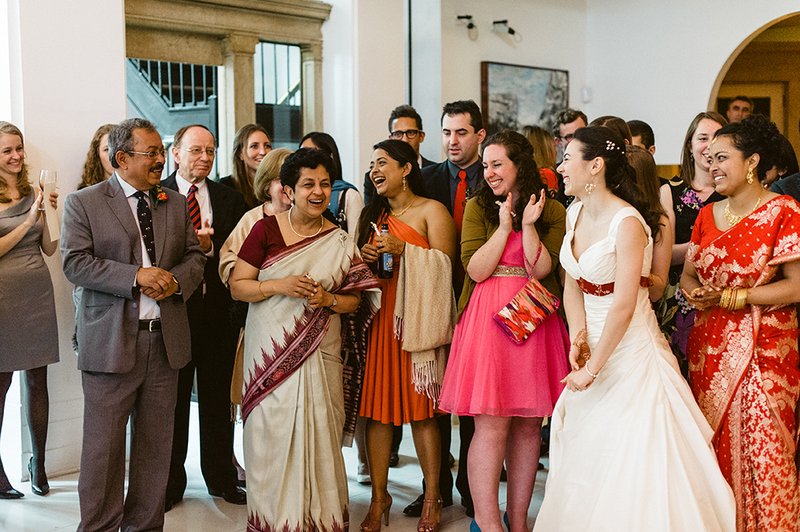 For the full story and more photos, visit our sister blog, The Big Fat Indian Wedding. 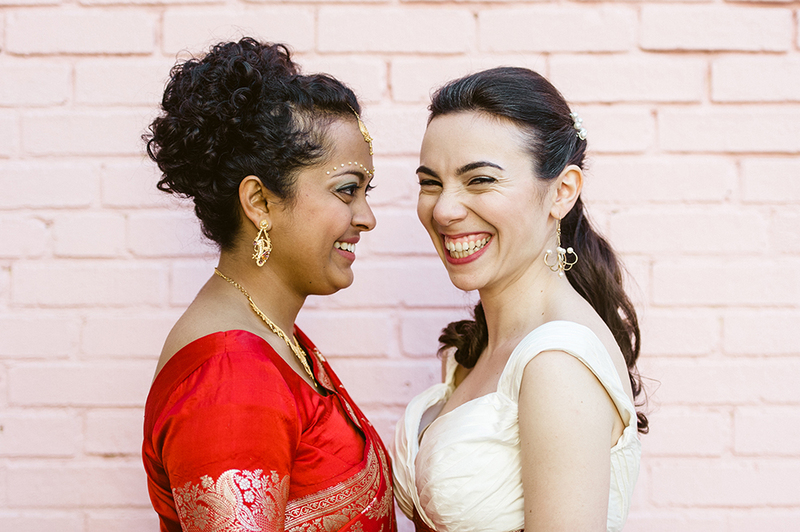 Let’s get to their pretty wedding! 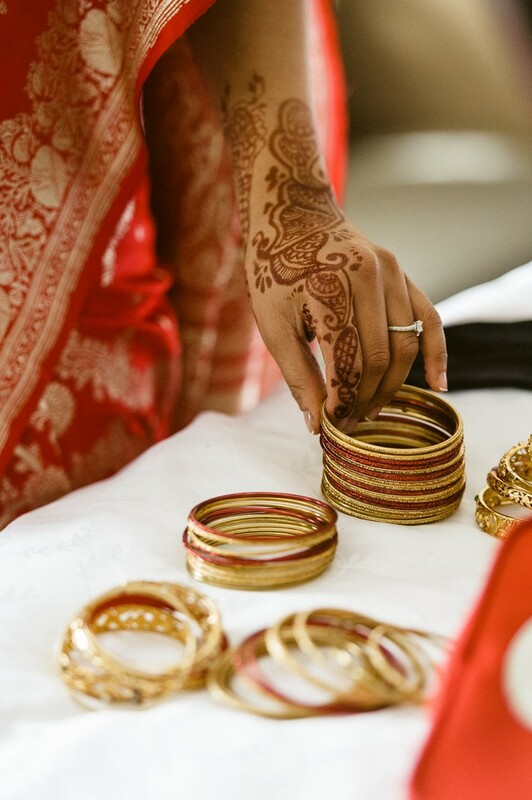 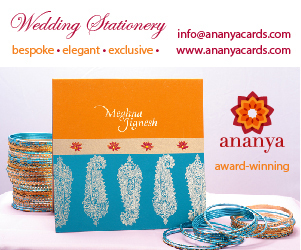 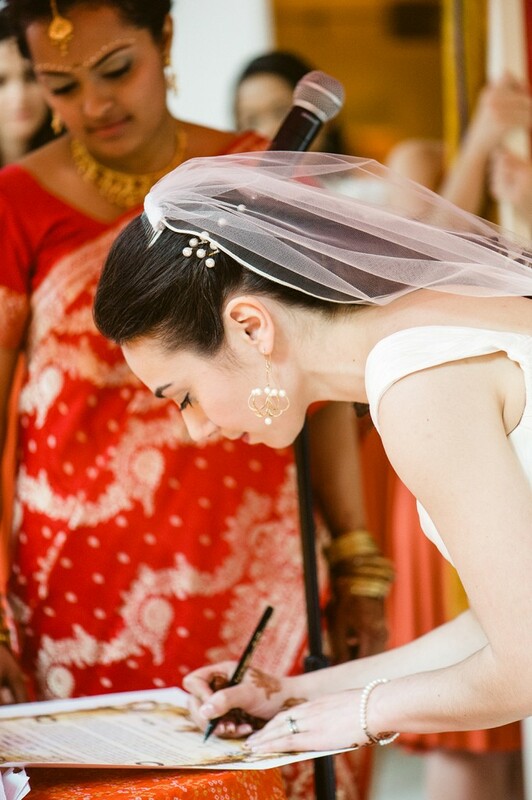 Who doesn’t love bangles and henna for a bride? 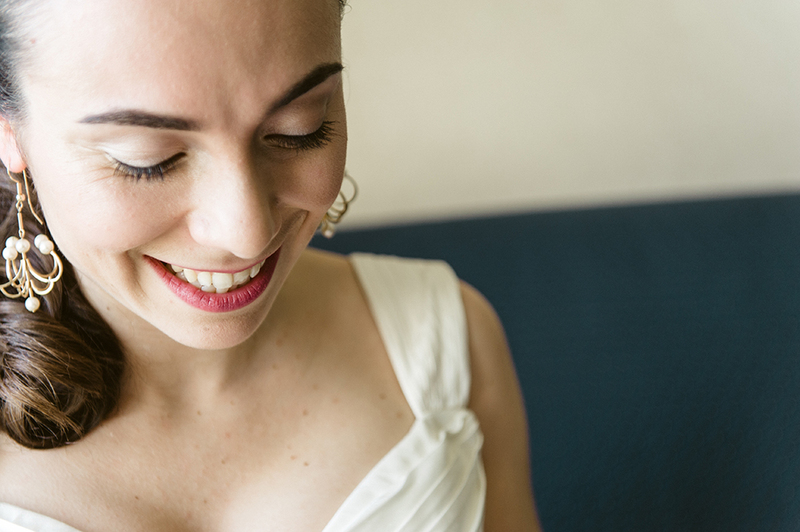 Loving Yana chandelier drop earrings! 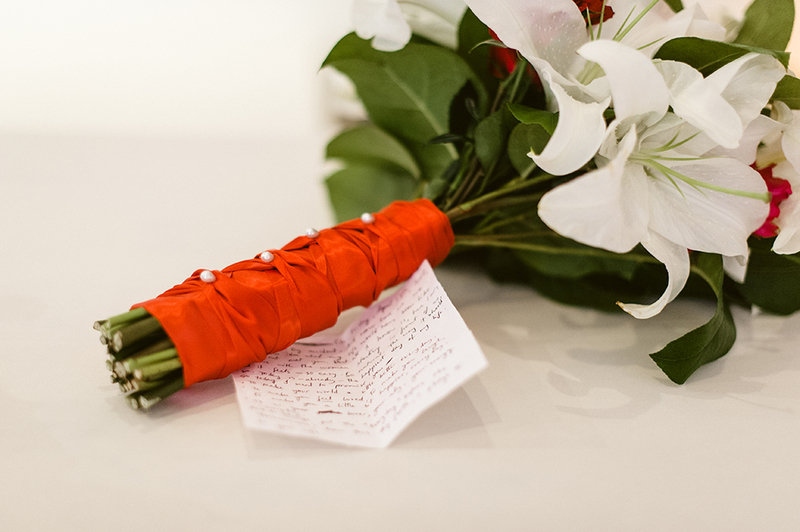 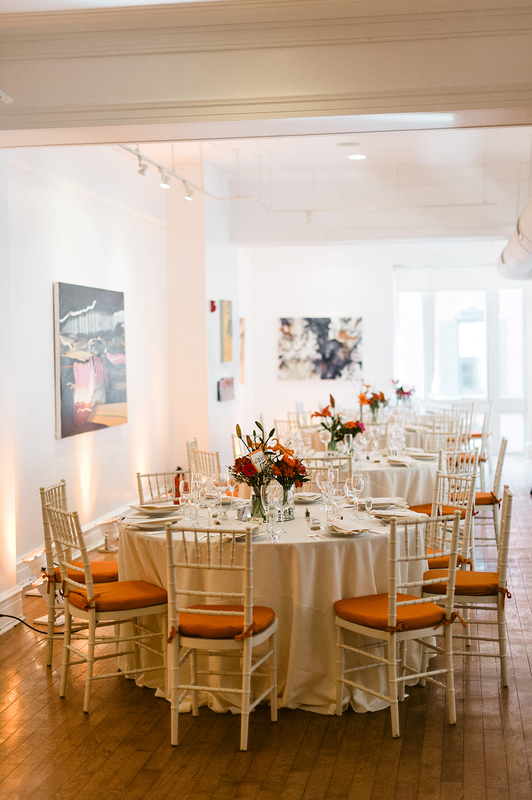 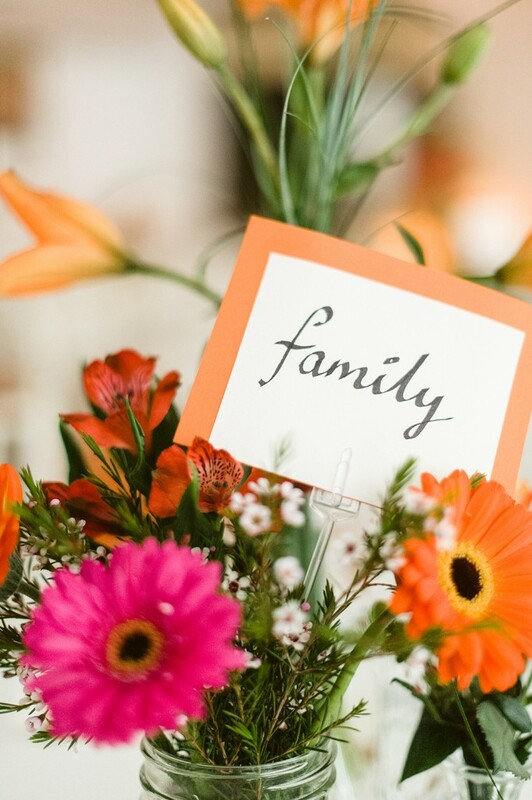 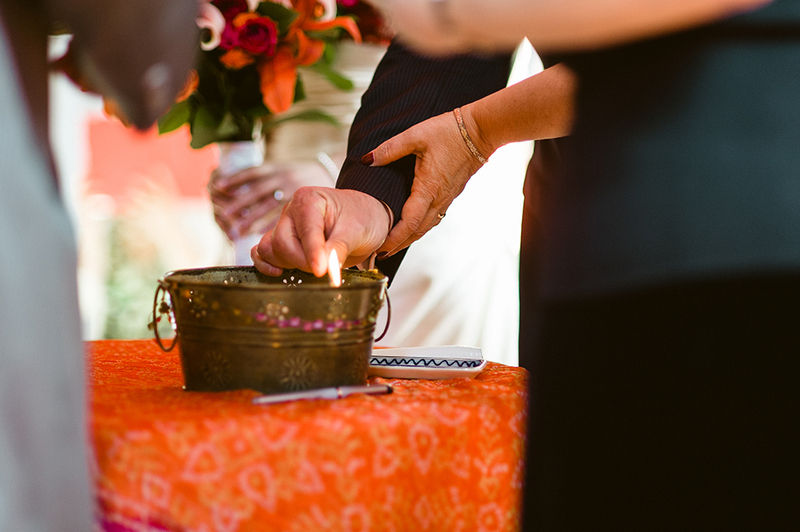 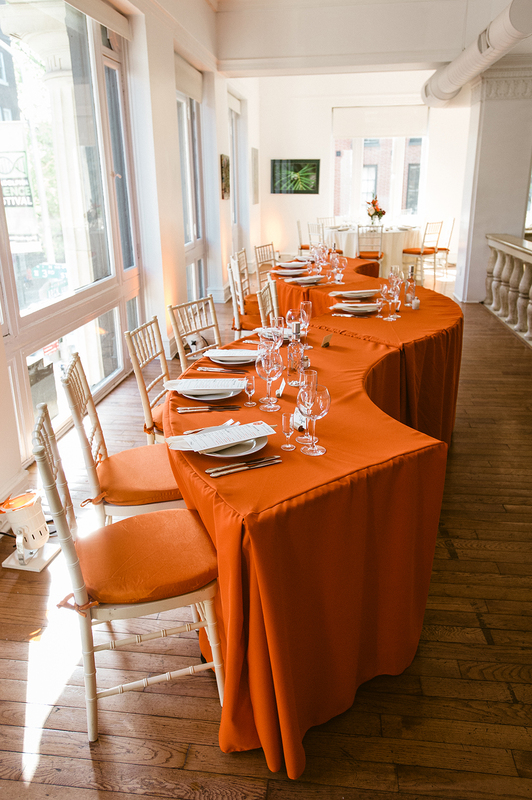 The wedding color palette was inspired by the bright autumn colors of oranges, reds, and bursts of greens. 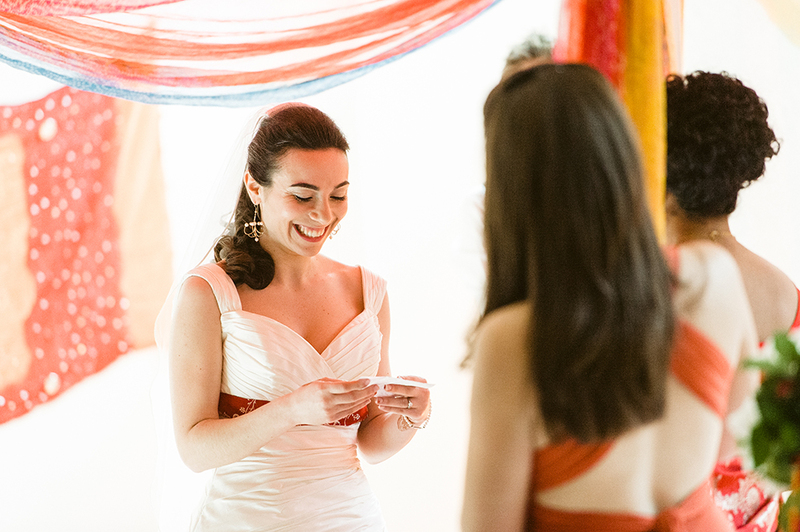 No proper Russian Jewish wedding is complete without vodka. 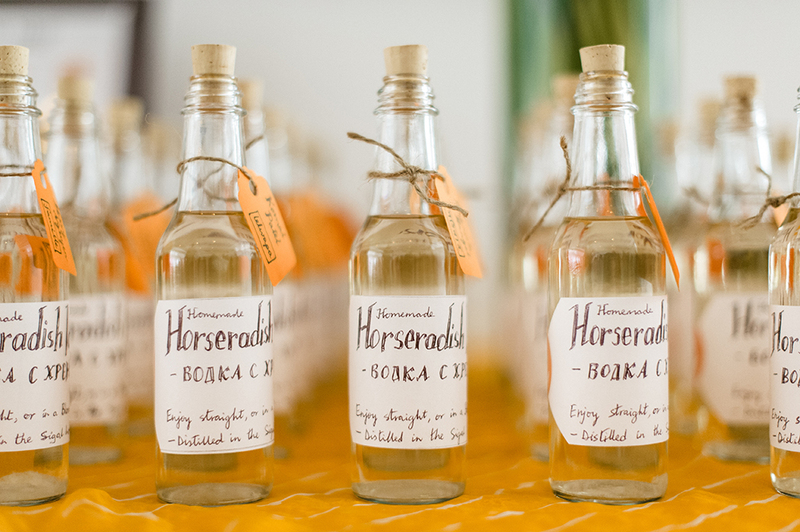 Homemade vodka. 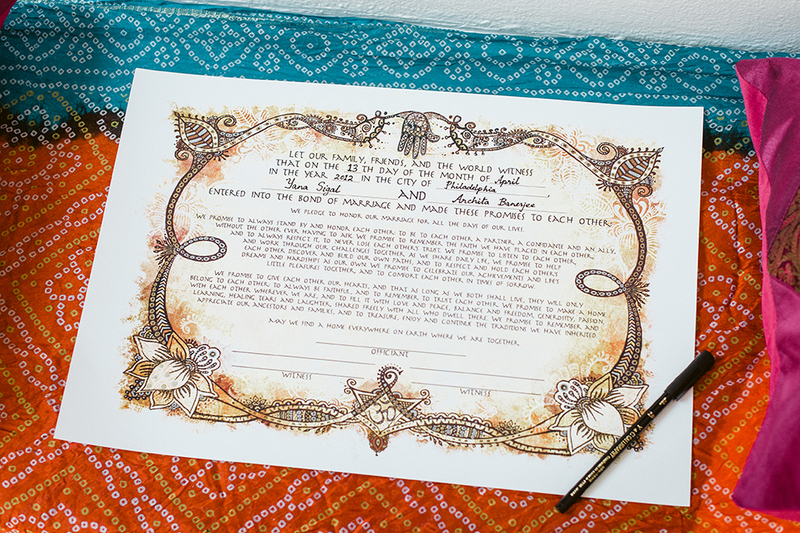 Their ketubah was inspired by henna designs and the text was customized for them. 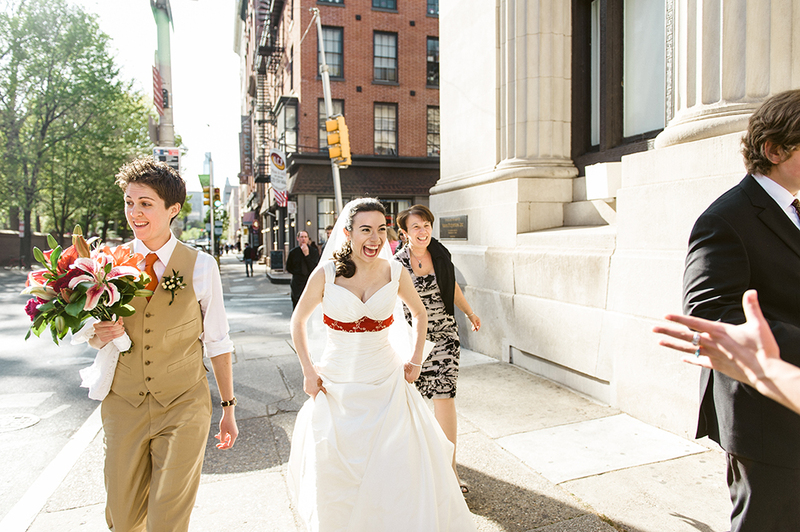 SQUUUEEEE! 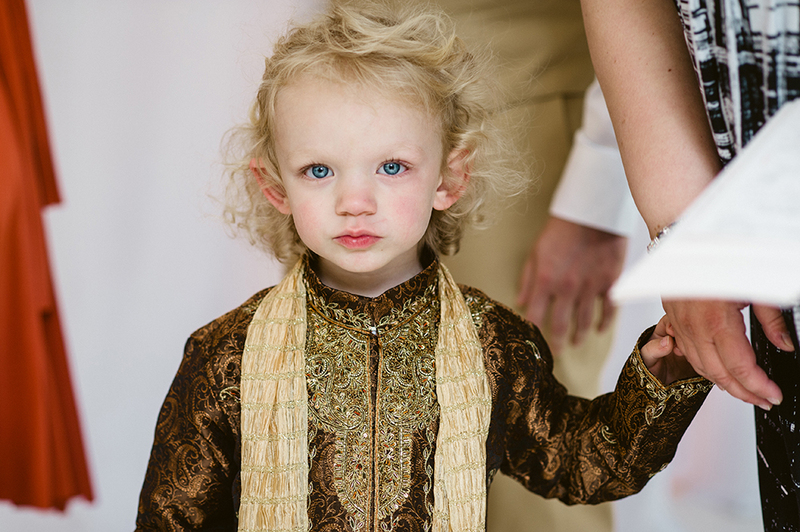 Yana just cannot wait! 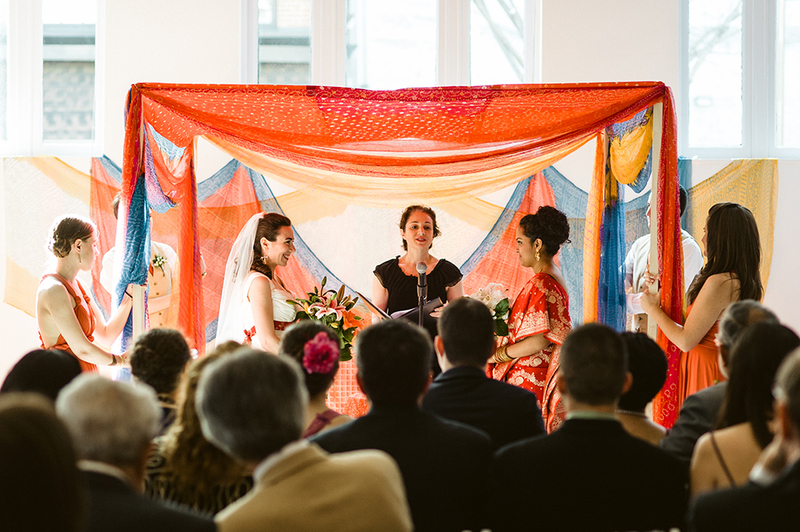 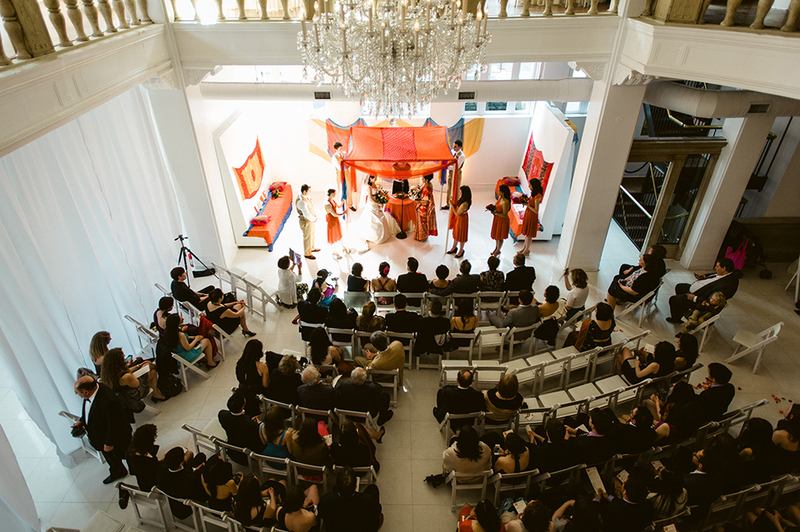 The chuppah was made from sari fabrics picked up in India. 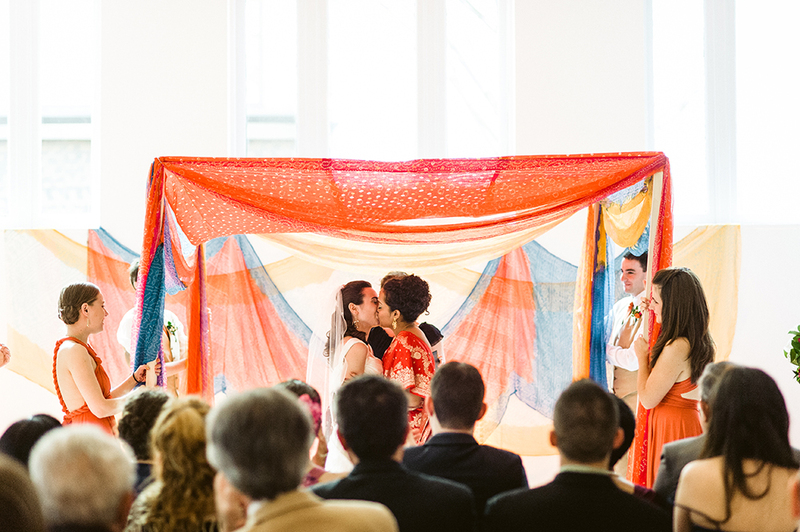 They used lots of styles and colors to made the chuppah. 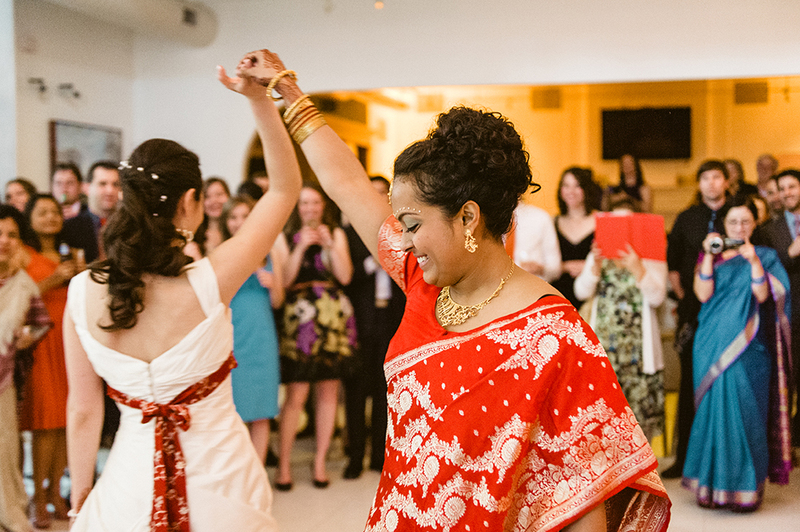 And since chuppahs look just like mandaps, it was a win for Jewish-Hindu culture! 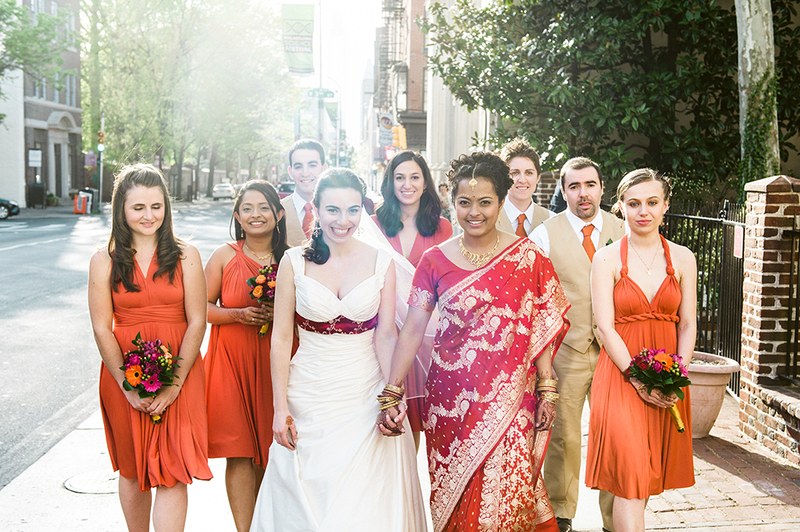 In Hindu weddings, the couple walks around a fire seven times, known as the saptpadi. 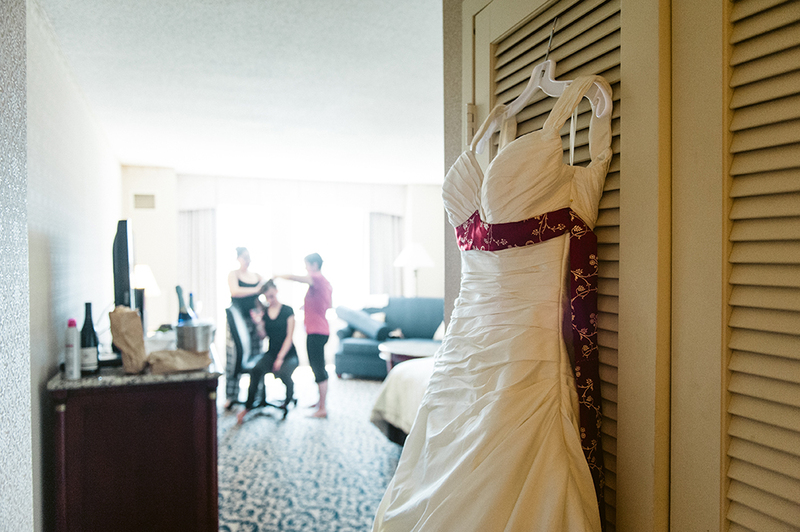 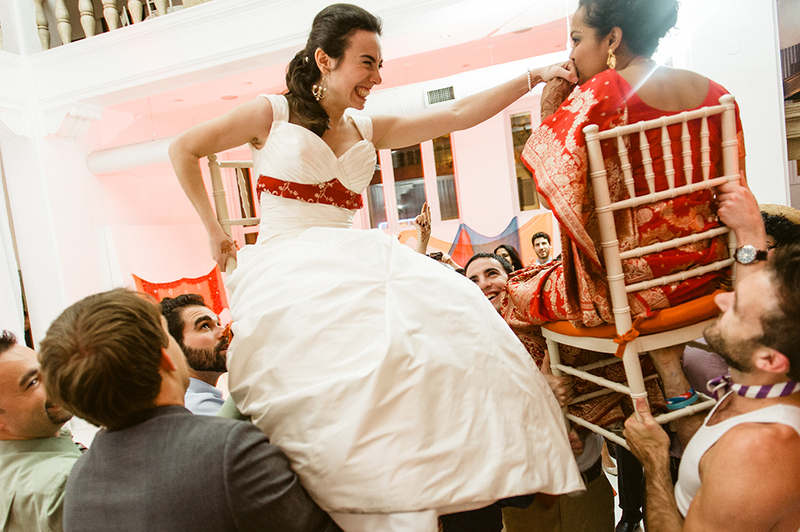 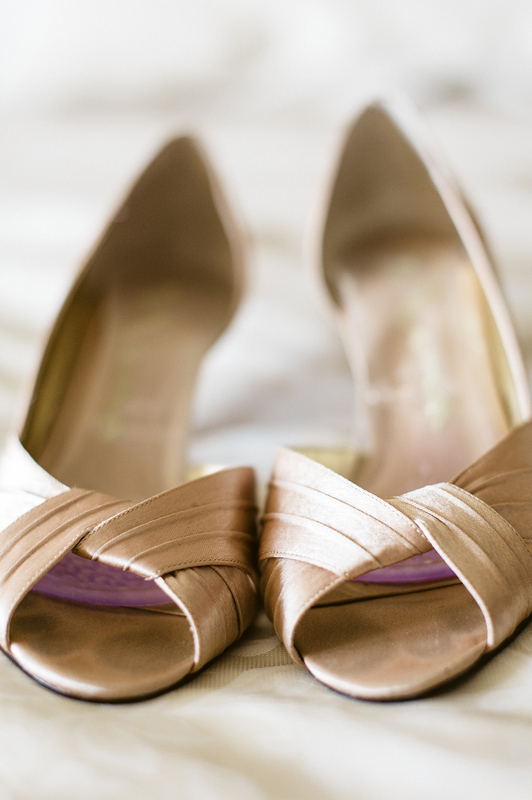 In Jewish weddings, a bride walks around the groom seven times. 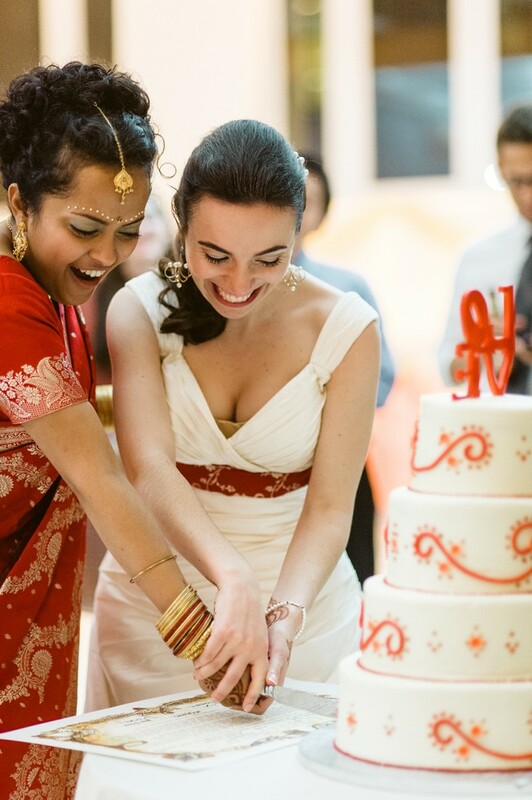 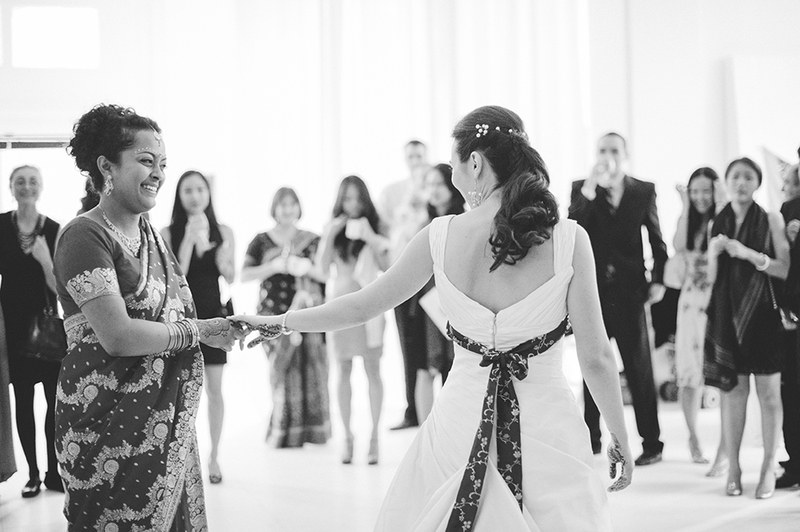 Yana and Archita combined both cultures and walked around a unity candle together. 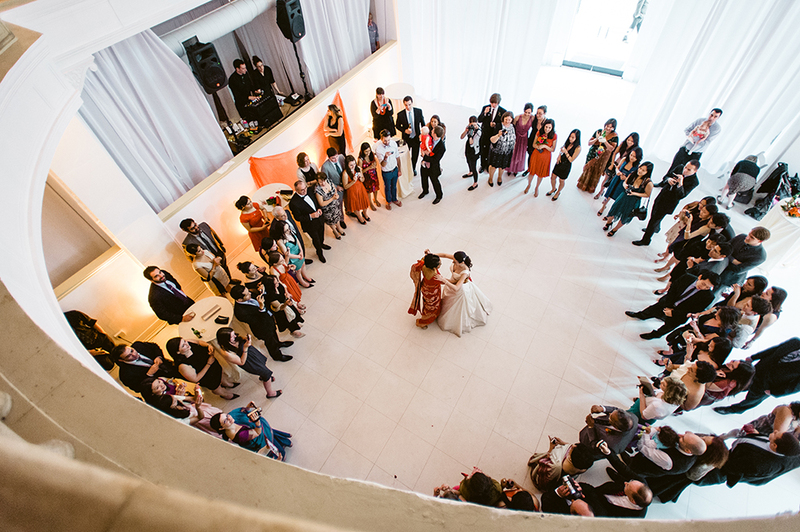 A first dance has never looked so beautiful! 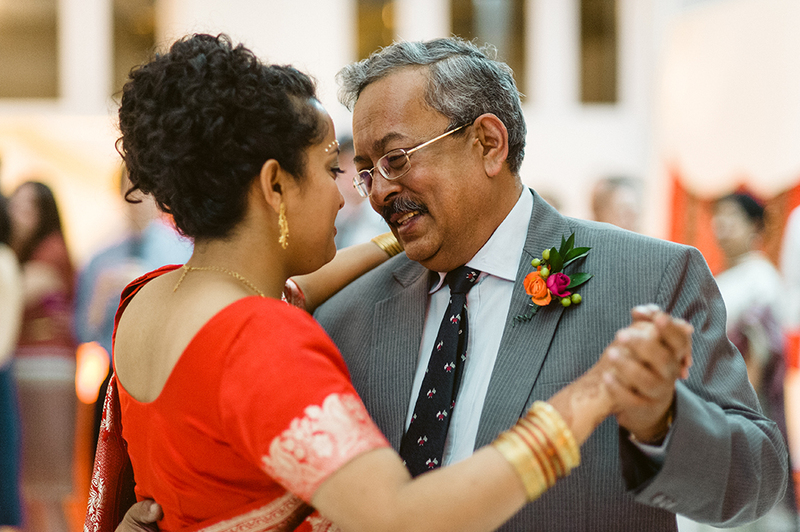 Dances with dads – sigh…so much love and support. 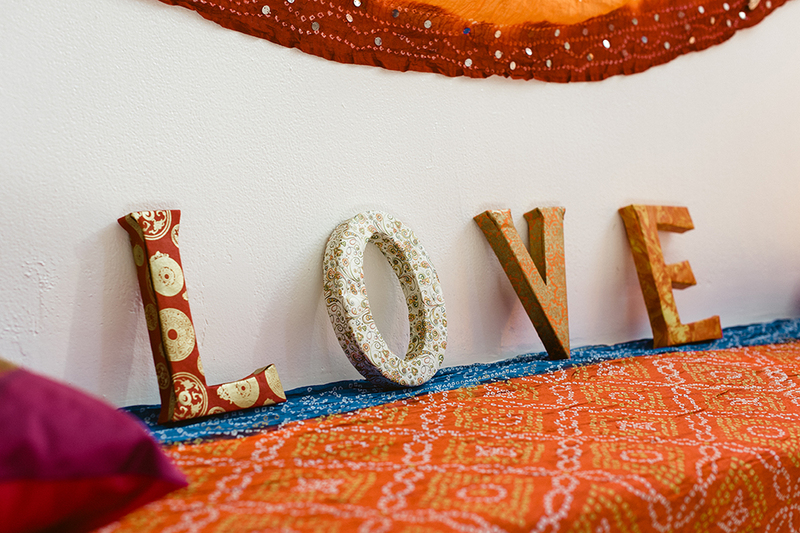 All you really need is love, and support, from friends and family. 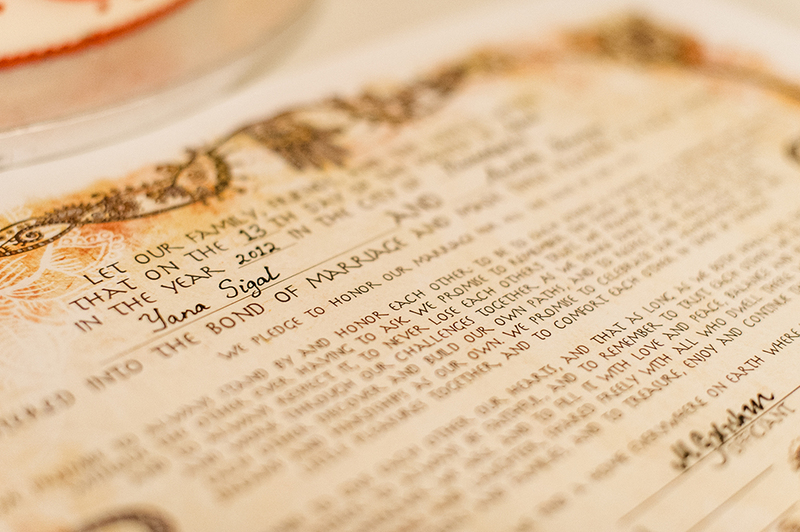 Mazel tov Yana and Archita. 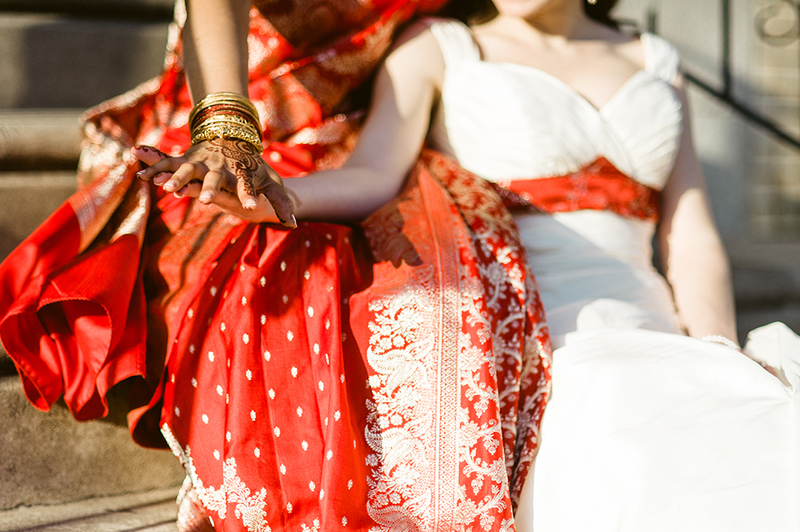 We wish you both lots of love and happiness in life! 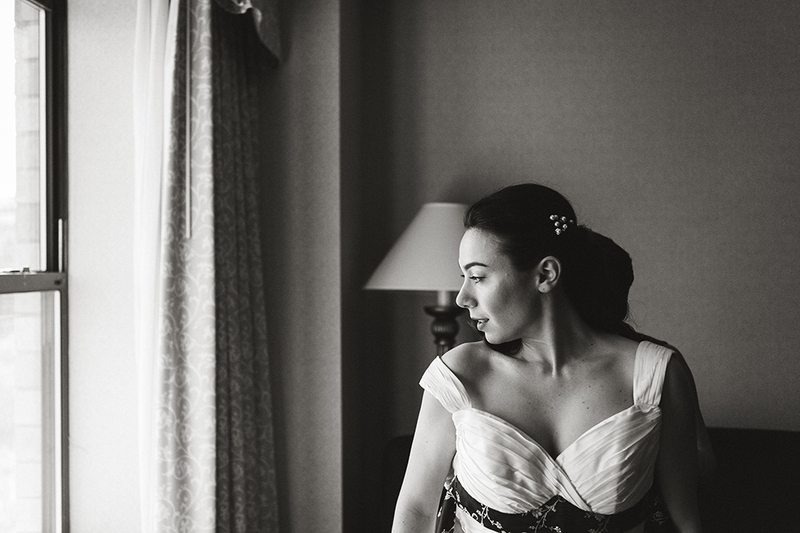 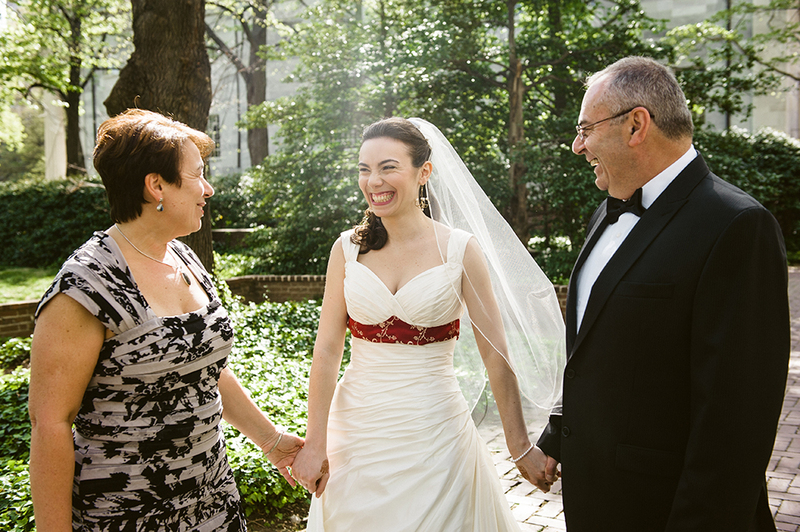 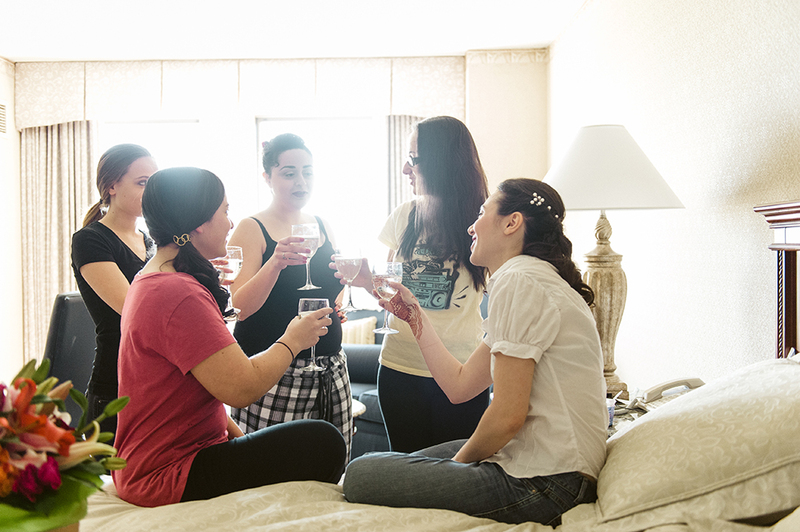 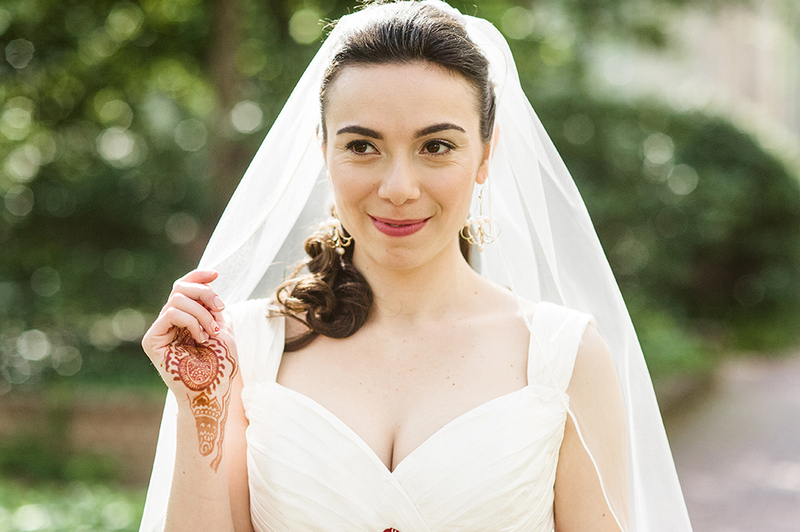 This entry was posted in Modern Jewish Wedding, Real Jewish Weddings, Russian-Jewish Wedding.